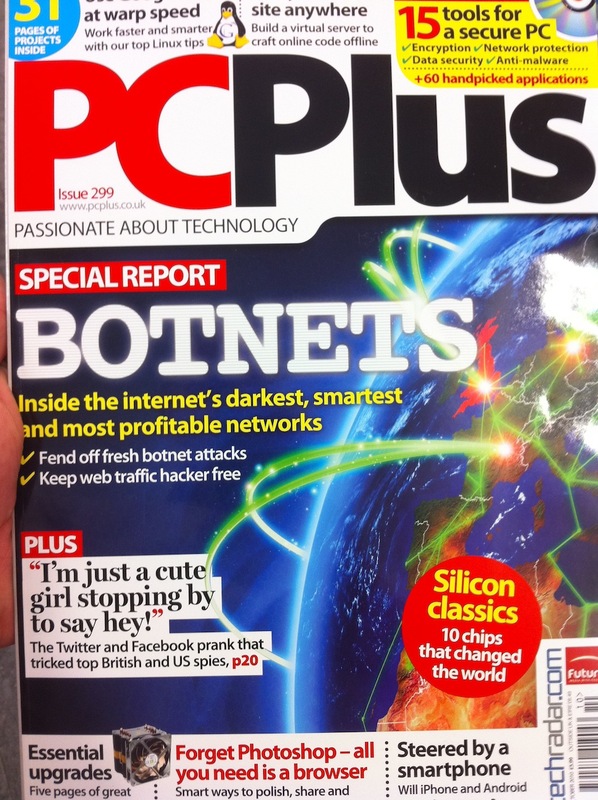 If your not upto scratch with all things Botnet related, you may want to pick up a copy of PC PlusÂ this month (issue 299). It has a great feature article on Botnets by Jon Thompson, and includes a few quotes from myself. This entry was posted in Security Active and tagged Dale Pearson, Jon Thompson, PC Plus, Security Active on September 8, 2010 by Dale.